In DWP Digital we’re committed to redressing the gender balance in digital roles, and helping women achieve what they want in their careers. That’s why I’m delighted that DWP Digital is hosting a ‘Women In Digital’ event on 20 June, during Digital Leaders Week: 19-23 June. We’ll be showcasing our best digital transformation work from female leads across government and working with inspirational gender champion partners from the industry to engage women in the digital sector. Our department creates services that meaningfully change the lives of millions of citizens in our country. So a diverse workforce makes sense not just from a fairness and equality point of view, but from a business perspective too. I’m excited about bringing together a range of voices from across government and the private sector to share our ideas about how we can encourage women into digital roles at all levels. Support each other to break barriers and increase our opportunities to work together. It’s widely acknowledged that many of the future’s jobs don’t even exist yet. That’s why we’re keen to help the future generation realise the potential and opportunities at their fingertips. We’re collaborating with Next Tech Girls, an initiative that aims to get more young women interested in careers in digital and technology, to provide work placements and enable them to gain hands-on experience of the digital sector. We’ll be hearing from the initiative lead, Marie-Clare Fenech at Emperic, together with DWP’s Kit Collingwood-Richardson who identified this opportunity to inspire the next generation and led the way for DWP. Kit and Marie-Clare will join me in a panel discussion to talk about why it’s important to attract more women to digital roles and what practical things we can do in DWP, across government and beyond. Hosting the event in Leeds, we’ll be talking collaboration with Leeds based Natasha Sayce-Zelem head of technology at Sky, who will join us to discuss ideas for supporting women in the digital workplace. We’ll also hear from Government Digital Services, Holly Ellis on building capability across government. Two of our female Software Engineers, Kirsty Tidmarsh and Diane Reddell will talk about their experiences in a landscape where currently over 90% of software engineers are male. Kirsty and Dianne are just two of the women who are bucking that trend. Yetunde Oladipo part of our Specialist Talent Acquisition team will talk about how DWP are using innovative approaches to attract and recruit candidates into DWP. Yetunde’s team not only specialise in attracting and recruiting digital specialists who would not normally consider a career in the Civil Service, but are seen as the best in-house talent attraction and recruitment team in Government. 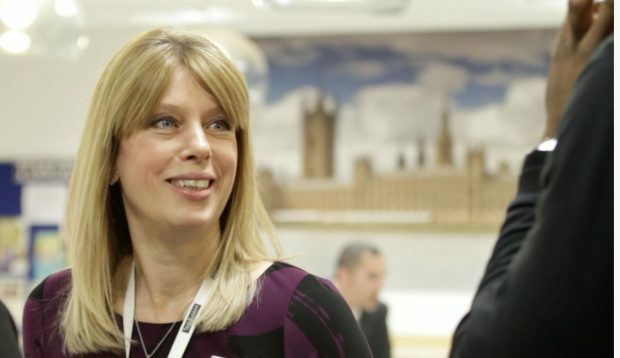 As chair of the DWP Women in Technology group I’ll be taking the opportunity to re-launching our group at the event. The DWP wide group promotes equality of opportunity and aims to help reduce the gender gap in digital roles. Only 27% of people in the UK digital sector are women and just 4% of people who work with code in a digital role are female (source: UK Commission for Employment and Skills) so it’s really important to have a diverse work force. In Digital we advocate agile principles, and one of the key concepts, is pulling together multi-disciplinary teams. By bringing together specialists from a range of backgrounds we can create a truly diverse representation of the citizens at the heart of the services we are creating. We’re proud to have women in roles such as data science, architecture, user-experience design, software development and more. I feel proud to be part of an organisation that values diversity and I’m really looking forward to this event. For more information and to register for a free place at the event visit the Women In Digital event page. Find out more about what’s happening in DWP Digital: Subscribe to this blog, follow us on Twitter @DWPDigital visit our DWP Digital Careers site and look at our LinkedIn page to see our latest jobs.